Last week, the US Patent and Trademark Office expanded its website to include a section to help individuals and companies to respond when receiving demand letters from patent holders. As one of our colleagues, Gene Quinn, over at IPWatchdog.com notes, this resource (albeit in “Beta” form) is fairly one-sided and offers some problematic advice to those who receive demand letters. Much of the advice on the USPTO’s website is fairly generic, but the overall tenor of the advice seems to ignore that legitimate patent owners with legitimate and valid patents often send these demand letters to stop individuals and companies from infringing their patents. Indeed, that is one of the fundamental rights that comes with owning a patent—the ability to stop others from using your invention. Instead, the fundamental assumption on the USPTO’s website seems to be that only patent trolls send demand letters. For instance, the USPTO suggests that one response is to simply ignore a demand letter because some patent owners send these demand letters to mislead or intimidate the recipients into paying for licenses that they do not need. While the USPTO notes that this approach carries some risk, that advice is buried at the end. Oddly, the USPTO never suggests that one option after receiving a demand letter is to simply stop infringing the patent. 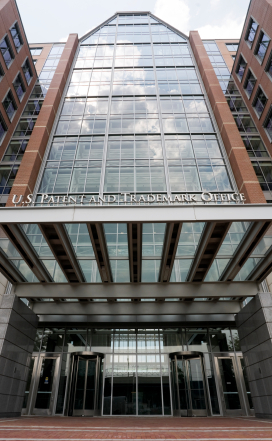 The USPTO also downplays the importance of consulting with an attorney to help understand the risks and to respond to the patent owner in an appropriate manner. Patent law is not a simple subject, and most individuals simply do not have the expertise or knowledge to determine whether they are infringing, whether the patent is valid and enforceable, and what the risks may actually be. In my years of practice, I have noticed that many individuals do not understand what the scope of a patent is unless they have significant prior experience with patents. They tend to look at the description of the invention in the specification or the drawings, rather than the claims, when trying to assess their exposure. As patent practitioners know, it is the claims that truly matter (although the specification is important to understanding those claims), and those claims are often far broader then the particular embodiments disclosed in the specification. In addition, claims are not written in a format that is simple to understand, or there are statements made during the prosecution of the patent that are important to understanding their scope, which compounds the problem. Thus, there is a very real risk that individuals will drastically underestimate the risk that they infringe unless they receive competent legal advice. 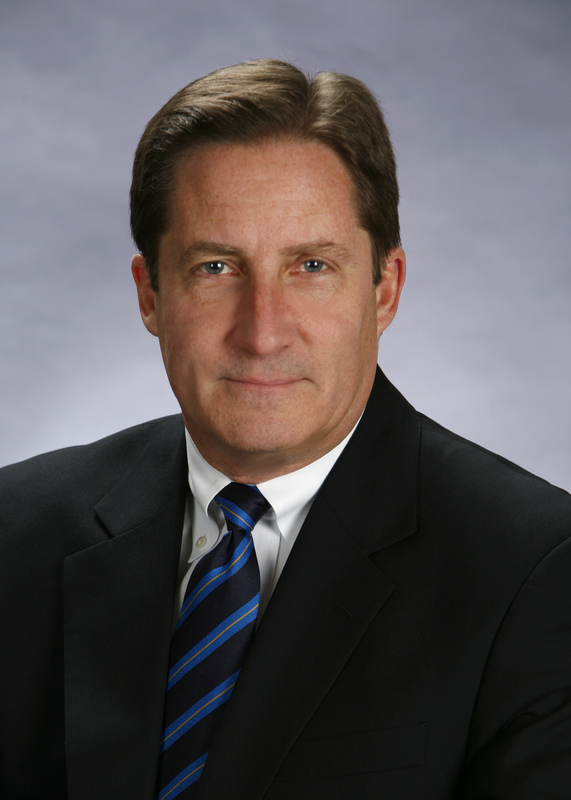 While hiring an attorney may be an expensive proposition, the consequences of not doing so may be far greater. A typical patent infringement lawsuit can easily cost more than $500,000 to defend, even where the amount at issue is small (and can cost tens of millions of dollars when significant amounts are at issue). And, once a lawsuit begins, it can be very hard for a defendant to unilaterally stop it. If an individual is truly infringing, an attorney can help the client understand the risks and suggest ways of resolving the matter before litigation begins, which potentially can save an individual hundreds of thousands of dollars. Simply ignoring a demand letter can be the last thing an accused infringer should do unless there is a very good reason for doing so because ignoring the demand letter starts to lay the groundwork for a finding of willful infringement, which potentially entitles the patent owner to triple damages and an award of its attorneys’ fees and costs. The problem of extortionate patent trolls is very real, and I have represented numerous companies that have been the targets of these kinds of trolls. It is extremely frustrating to explain to a client the financial costs and distractions that come with defending a meritless lawsuit brought by patent troll and the fact that there often is no simple way to make the lawsuit disappear without paying some amount of money to the troll. That being said, I’ve also represented legitimate companies with patents on innovations they developed that help give them a competitive edge in the marketplace. They have spent significant time and resources in developing these innovations and bringing them to market and understandably want to protect those investments. The USPTO’s blanket advice to individuals and companies that might receive a demand letter is not particularly helpful and understates the real risks and costs that are at issue. It is somewhat disturbing that an office that is charged with issuing valid patents and supporting innovation would put out such incomplete and unbalanced advice. Hopefully, the USPTO will present more balanced and useful advice when this website moves out of its “beta” stage. I attended the Pittsburgh Technology Council’s breakfast briefing this morning and heard a great presentation by Jeffrey Hennion, President of Pittsburgh based Branding Brand: http://www.brandingbrand.com/ Founded by 3 CMU students, the company is now an industry leader in Mobile Commerce website and application development. They serve some of the largest retailers and businesses who are now true believers in the power of mobile commerce and mobile wallet apps – shopping from a phone. 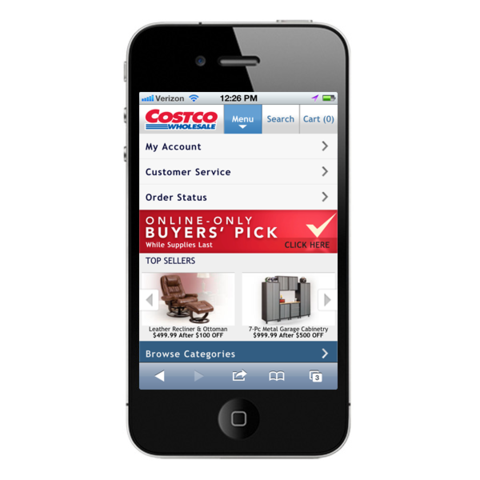 Costco (See Image below), Dicks Sporting Goods, Sephora, Ralph Lauren and countless more retailers have large percentages of sales now flowing through Branding Brand platforms. Starbucks is currently the leader in mobile commerce sales with its QR code based “mobile wallet”, which allows purchases from a scan of your phone screen. A next big market for these products is the travel industry. As you ride from the airport to the hotel, you use your phone to check into the hotel, you skip the registration desk, open your room with your phone which has been activated with a mobile key. As Jeff described it – these developments are fascinating, but sometimes a little creepy. The percentage of phone driven ordering, and mobile wallet purchased sales is zooming upward and some companies could face loss of significant market share if they don’t keep up. The Supreme Court granted certiorari in Alice Corp. Pty. Ltd. v. CLS Bank International, (No. 13-298), to address the boundaries of what constitutes patent eligible subject matter under 35 U.S.C. § 101 and, more specifically, whether and to what extent software is patent eligible. We’ve been following this case since it was at the Federal Circuit (see our prior post here) and noted the chaos that emerged from the Federal Circuit’s en banc decision that could not decide on the proper standards for software patent eligibility. Since Alice Corp. filed its petition for a writ of certiorari, 34 amicus briefs have been filed, indicating the importance of this case to the patent community. (To read the briefs, click here). 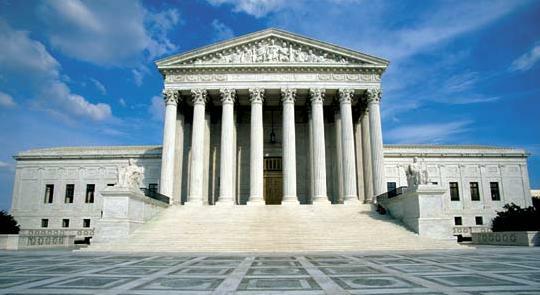 The briefs have been circulated to the justices, and oral argument is scheduled for March 31, 2014. As numerous commentator’s have pointed out (see, e.g., here), software has been patent-eligible subject matter for almost 50 years and accounts for a significant number of granted patents. A decision by the Supreme Court that software is not patent eligible would have huge repercussions throughout the patent and software worlds. We will be monitoring the case and will report on the oral argument, once it occurs. In the continuing quest to limit or prevent patent “trolls” from filing frivolous lawsuits against alleged infringers, state legislatures are jumping into the mix and proposing state laws to discourage or prohibit this kind of conduct. Pennsylvania is among the latest to join this bandwagon. PA Senate Bill No. 1222, introduced on February 4, 2014 is an effort to limit and discourage frivolous patent infringement lawsuits. However, given the scope of the bill, and the potential conflicts with federal law, there are serious questions as to both the wisdom of the approach it takes and whether this bill will ever become law. Bill No. 1222 purports to prohibit bad faith assertions of patent infringement. (Section 3(a)). It allows a target of a demand letter, someone threatened with patent infringement, or a defendant in a patent infringement lawsuit to bring an action in state court (the court of common pleas) for bad faith. (Section 5(b)). If the court determines that there is a reasonable likelihood that the patentee has threatened or is litigating a patent infringement claim in bad faith, the court can require the patentee to post a bond to cover the target’s legal costs and damages, but not to exceed $250,000. (Section 4). In addition, among the possible remedies are equitable relief, damages, costs and fees, and exemplary damages of $50,000 or three times the total damages, costs, and fees, whichever is greater. (Section 5(b)). When a demand letter fails to contain the patent number, the identity of the patent owner, or factual allegations of why the target infringes. When the patentee conducted adequate due diligence before sending the demand letter. When the patentee refuses to provide certain information to the target when requested to do so. When the demand letter demands a response or payment within an unreasonably short period of time. When the license demand is not reasonably related to what the license should be worth. When the patentee knew the claim was meritless or deceptive. When the patentee previously filed or threatened similar actions that were meritless or failed to disclose the kinds of information identified above. When a demand letter includes the patent number, the identity of the patent owner, and factual allegations of why the target infringes, or the patentee provides this information on request. When the patentee engages in a good faith effort to establish infringement and negotiate an appropriate remedy. When the patentee has made a substantial investment in using the patent or selling products that use the patent. When the patentee is the inventor, joint inventor, original assignee, or an institution of higher education (or its tech transfer office). When the patentee has demonstrated successfully enforced the patent in litigation or has in good faith previously tried to enforce the patent. Determinations of whether a patent infringement claim has been brought in good or bad faith will necessarily require a significant analysis of the underlying merits of the claim, including claim construction and the intricacies of infringement and invalidity issues. State courts have never had to deal with these issues before because federal courts have exclusive jurisdiction under 28 U.S.C. § 1338(a) to hear all patent cases. Thus, this bill would place state courts in uncharted and complex waters that they have never had to deal with. In addition, this bill purports to extend not just to demand letters sent by patentees, but also filed patent infringement lawsuits (which must be in federal court). It is unclear how state courts are to be addressing issues being litigated in federal court and what power a state court has to interfere with those parallel proceedings. One would think that a federal court that is handling the lawsuit is in a far better position to assess the good or bad faith of a patentee’s claims. While it is a laudable goal to create disincentives to filing frivolous lawsuits, this bill seems particularly ill suited to this goal. We will be following this bill as it progresses, and will report on its progress.